It has been quite awhile since I last did a walkthrough of my city, and though progress on the layout has been very, very slow and deliberate, I felt there were enough new details since the last update to warrant a new tour. 10 comments - Post a response! 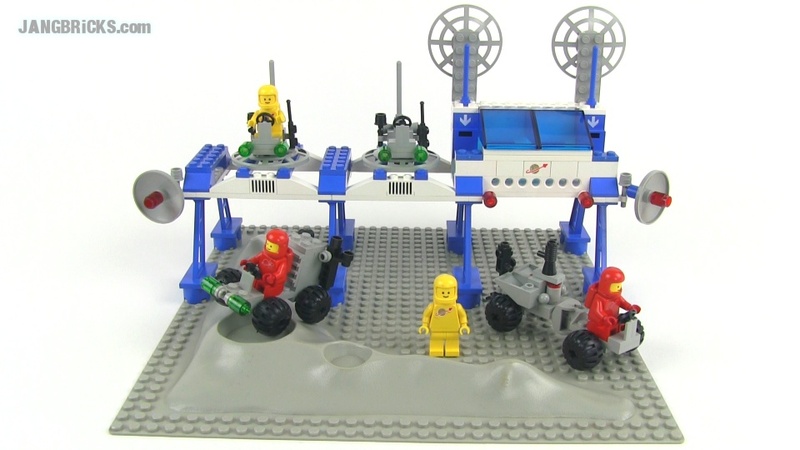 LEGO Classic Space 483 Alpha 1 Rocket Base Review! Happy Flashback Friday everyone, a little early this time to make up for the last couple of late ones! This time I again go into the classic space line with a set from all the way back in 1978, when minifigs were a new thing! 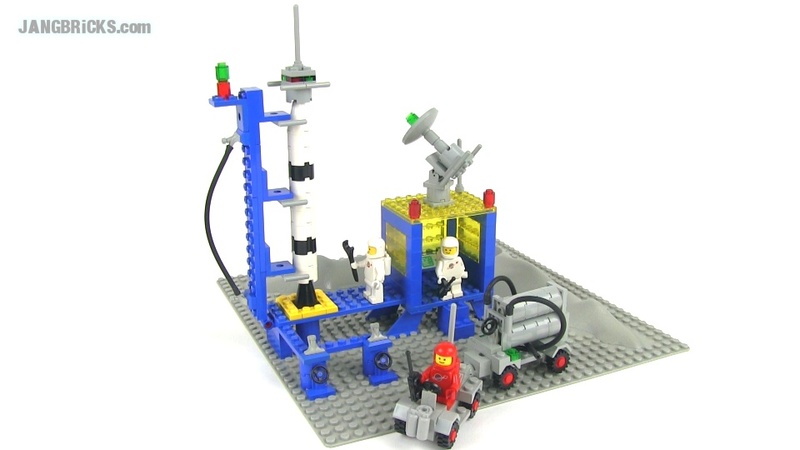 Video: LEGO Classic Space 483 Alpha 1 Rocket Base Review! No comments - Post a response! 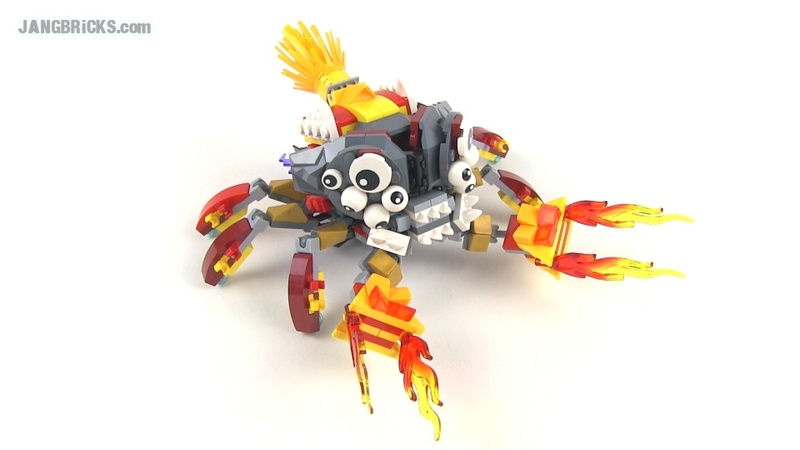 Okay, one more LEGO Mixels MOC, this one the weirdest yet :) This guy has three legs, an insect-inspired mouth, and a surprising spin attack! 1 comment - Post a response! See what I mean? With the last update I mentioned that things were changing again, and here are those changes now in the form of a full revamp! This is the result of about 20 hours of failed experimentation followed by 10 hours of building & fine-tuning the one actually feasible concept. This train is now entirely 4 studs wide at last, while the first version had a wire ribbon that traveled along the outside and both v1 & v2 had vanity tiles covering some unsightly bits. The motive & battery cars look rather rough around the edges and unnecessarily asymmetrical front to back, but believe me, there is rhyme & reason to every piece on this thing. I even built the new rearmost car with lightness in mind, carefully substituting parts repeatedly to minimize the mass plastic used to create a desired shape or connection. Is this the final version of this 4-wide train? I am certain it is not. However, I should be able to leave it alone for good while, as it no longer bothers me when I look at it. Man, I need a break! This was tough! 2 comments - Post a response! I built these two last week, because I had to. I couldn't not do it, especially the Mega-Murp! Take my word for it. 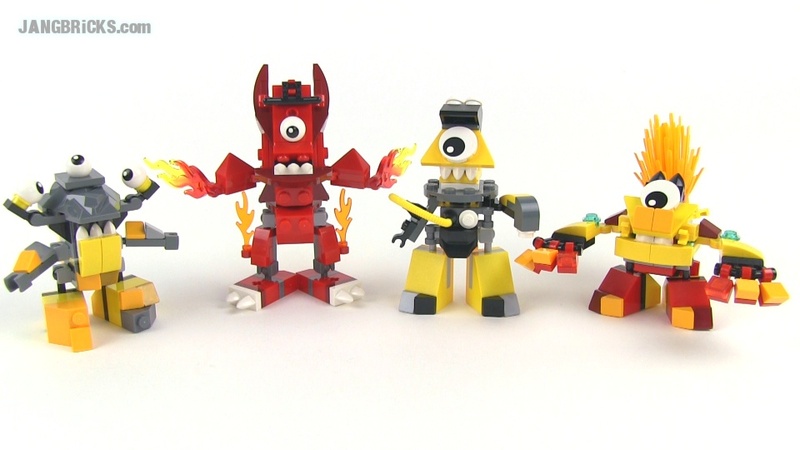 If you get two or more Mixels sets, build them by the instructions once, then tear 'em apart and make something completely custom. You'll be glad you did! 3 comments - Post a response! Never satisfied, I am! My custom 4-stud-wide intra-city commuter train was working just fine, especially with the help of tiny tweaks over time that improved reliability. However, I couldn't leave good enough alone. After all, "good enough" isn't! With this change I shortened the little train by a worthwhile margin without changing the function at all. Not long after this video was recorded, though, the brain-wheels got to spinning again, and I dove back in for another round of changes, major this time. Wish me luck! Working in this small scale with the relatively unwieldy Power Functions components is maddening! Out of desperation I actually spent a couple hours trawling the Interwebs for inspiration from other builders, and I found none! The small handful of other RC, PF-powered narrow gauge trains I could find are all thicker in the bodies and/or use completely custom batteries & wiring. 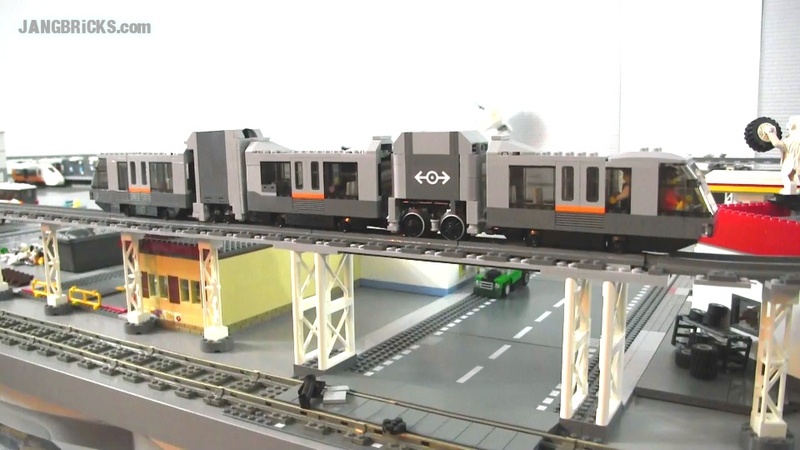 I remain determined, for now, to stick to an actual 4-stud width (as the old monorail sets remain my inspiration) and unmodified LEGO components! NEW: See the Feb. 25, 2014 update & complete rebuild! Yup. Definitely a thing. No question about it. 8 comments - Post a response! My custom LEGO Zoo & aquarium is complete! This has been a long time coming, but finally yesterday I unveiled my completed (for now) zoo. 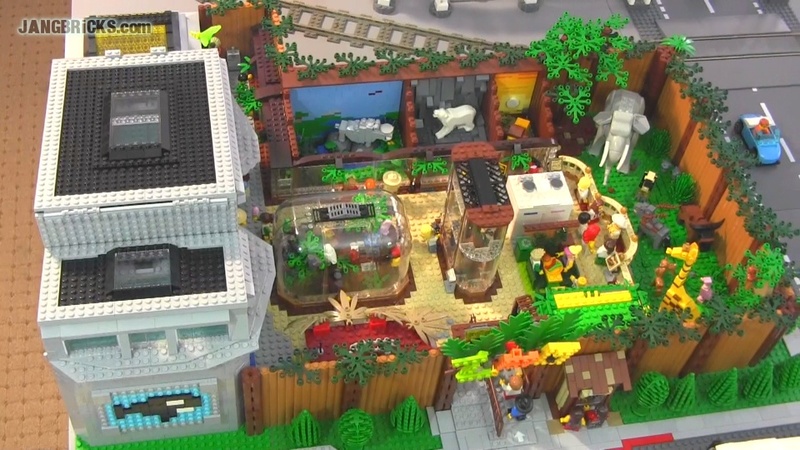 Video: LEGO MOC: My custom ZOO & aquarium complete! Shockingly, in less than 24 hours, it has already become one of my top 5* most "liked" videos (over all time cumulatively, not just for the first day). I never in a million years would have imagined this sort of reception for the thing. When I look at it, myself, I see all of the flaws, all of the things that could be improved, all of the compromises. I guess I've just been looking at it for too long, and for that reason, I'm glad I decided to force myself to call it "done" (again, for now) and make it official. A good plan can sometimes take months (or even years) to execute, what with the rest of everything in life continuing along the way. MOC-making is a process, and creations don't start out looking complete & polished! A little bit of patience and dedication can go a long way! * Update: Two days later, it's #1. Goruz returns to YouTube, but is it the last time? LEGO Mixels Series 1 Mix, Murp, & MAX combinations! These two videos show just some of the official possibilities for mixing up Mixels as LEGO has suggested. Naturally if you're willing to do your own thing, you can come up with an infinite number of others! LEGO Mixels Series 1 Mix & Murp combinations! I've already done a few custom ones, myself, and will post those up in the next couple days or so. One of these came with the Sea Cow order, the other I got off eBay. 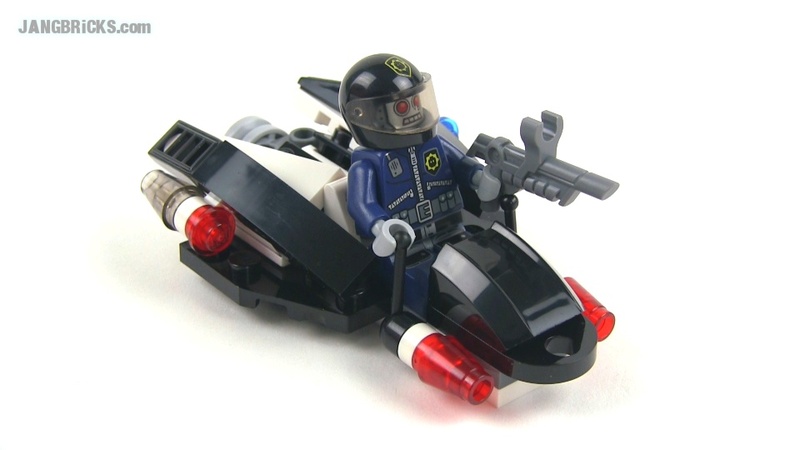 LEGO Movie 30282 Super Secret Police Enforcer polybag set Review! LEGO Movie 30280 Piece of Resistance promo polybag set Review! 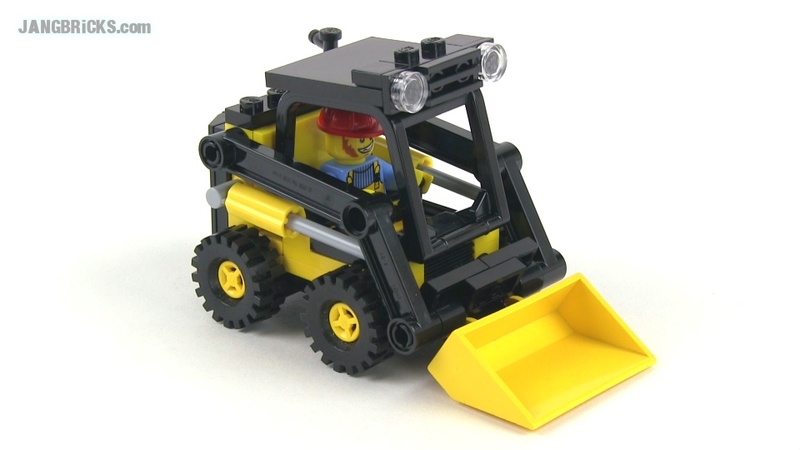 Every Friday (or thereabouts) I put up a new review of an old LEGO set. This most recent time I again dipped into the timeless Classic Space theme with a set from 1986. LEGO Mixels series 1 reviews complete! Mixels are a cool new original theme developed by LEGO in conjunction with the Cartoon Network. There are some free online games, plus there will be at least one downloadable app-style game, and with any luck there'll be some animated shorts on TV as well (though that's speculation). In the meantime, nine initial little $5 USD sets have been released and I've reviewed them all in groups based on their tribe/element. LEGO Mixels review - Series 1 Electroids Teslo, Volectro, AND Zaptor! 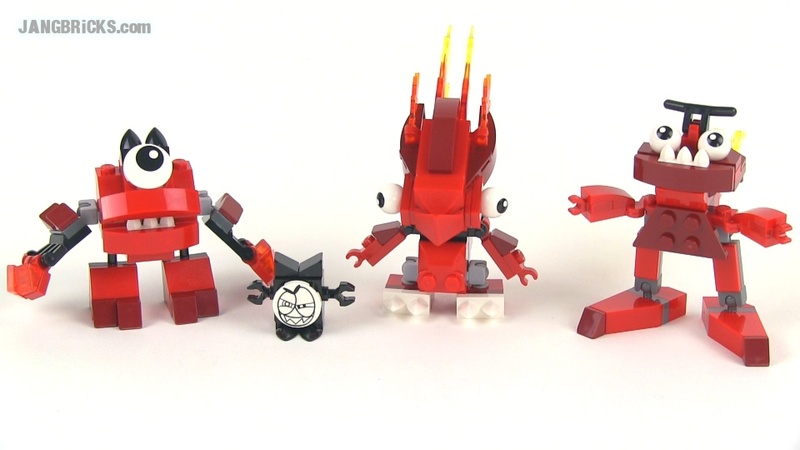 LEGO Mixels review - Series 1 Infernoids Flain, Volk, AND Zorch! 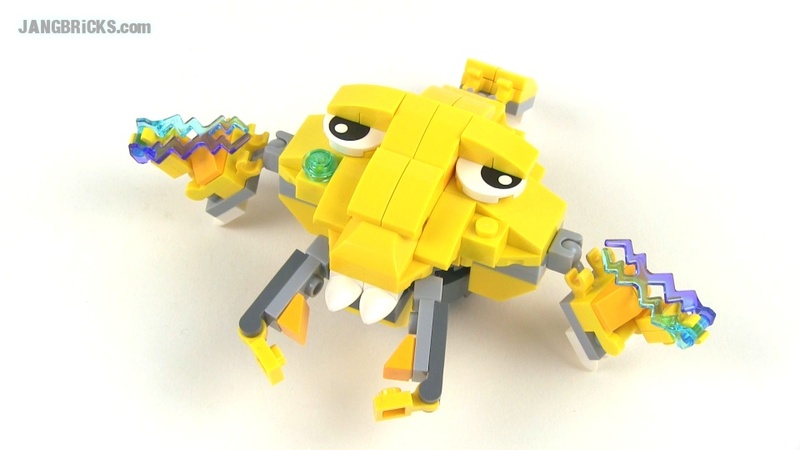 LEGO Mixels review - Series 1 Cragsters Crader, Seismo, AND Shuff! Series 2 & 3 are already designed and will be released later this year. I'll be doing at least two videos covering some of the official combination models for this series as well! 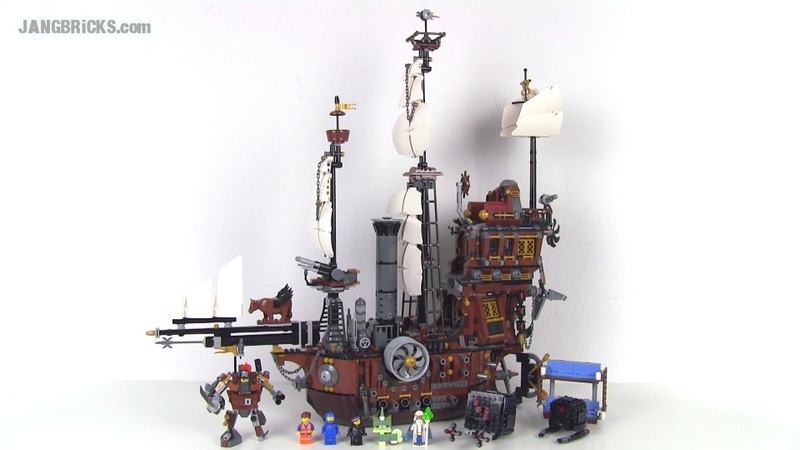 LEGO Movie Metalbeard's Sea Cow 70810 set Review! 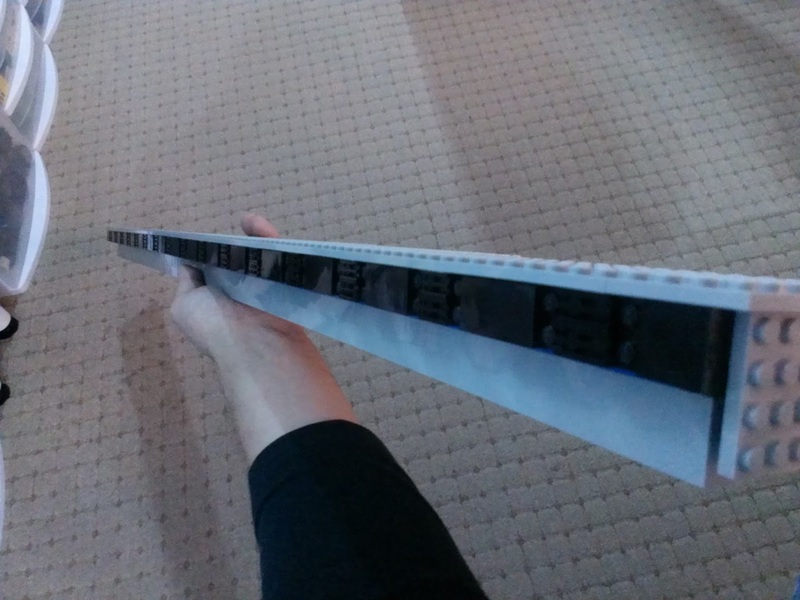 Holy Sea Cow, this LEGO Movie ship is huge! 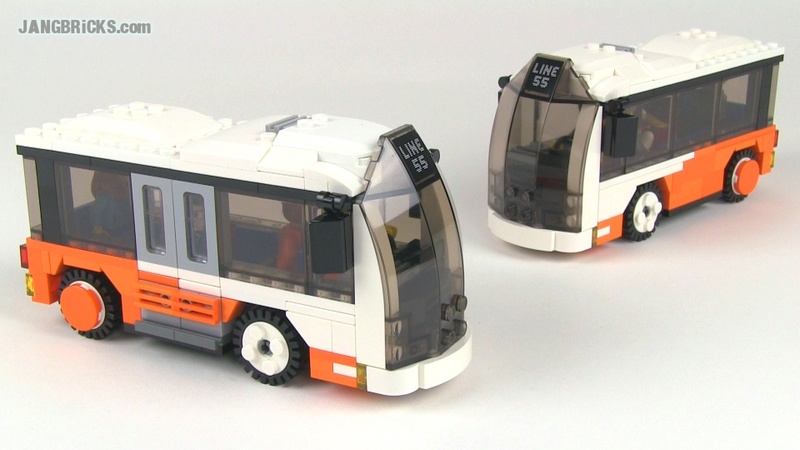 At over 2,700 pieces, this is a real project to assemble. Video: LEGO Movie Metalbeard's Sea Cow 70810 set Review! Now the question is, do I take it apart like I do almost everything else, or do I make an exception and try to find a place to store & display this enormous thing? 9 comments - Post a response! Two much-needed comparison videos today coming out of my review of the Sea Cow set. First up is a comparison between the one & only official "Benny" figure and his predecessors, covering three different authentic "Classic Space" styles plus a re-release. 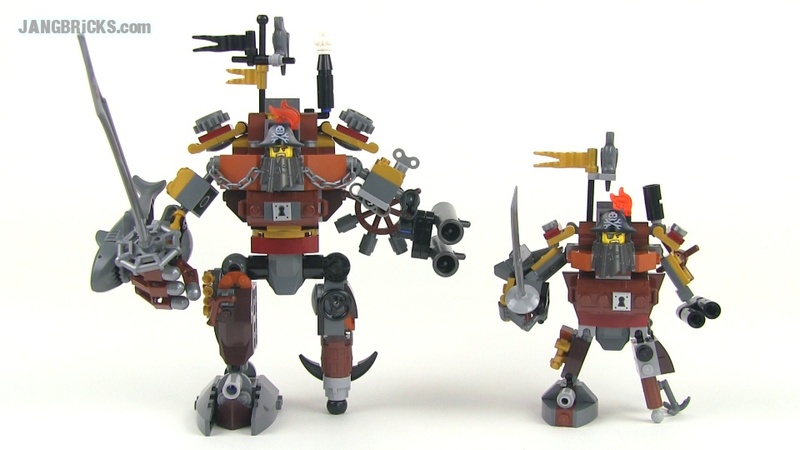 Next up is a side by side look at the original Metalbeard from his Duel set and the much smaller version included with the Sea Cow. 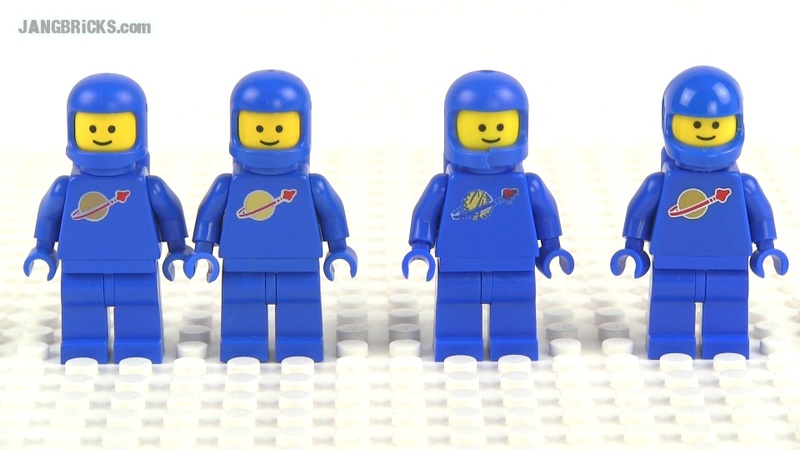 LEGO Movie Benny vs. REAL Classic Space minifigs compared! 6 comments - Post a response! 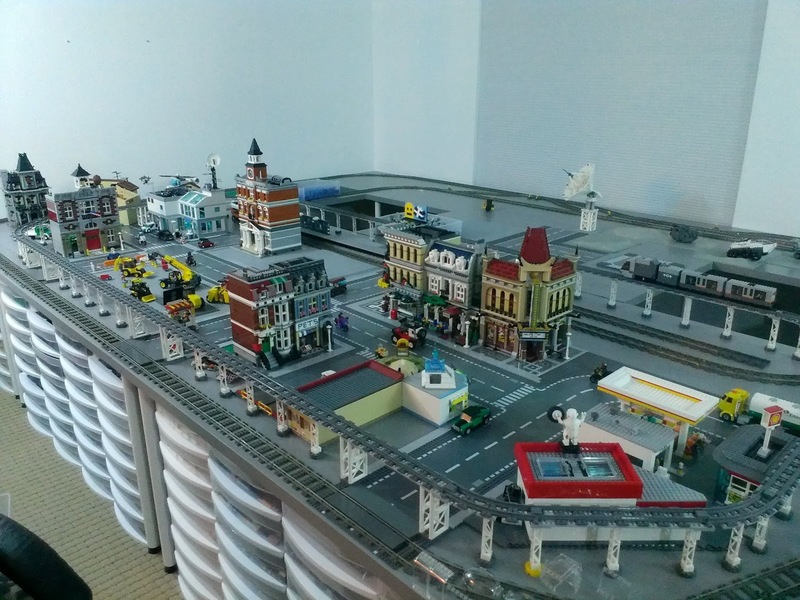 If you ask for a video tour of what you see above, it will be for naught, as the photo was taken a week ago and my LEGO city looked like this for only a few minutes. I remain, as from the start, vehemently opposed to hosting official sets on my layout, but since I had all of these modular buildings, well, built, I decided to exploit them very briefly. I moved them around in various configurations just to give me an idea of what it will look like to have structures of certain heights in different places. In hindsight, I suppose I could just as easily have done this with plain cardboard boxes. Oh well! The good news is that even when I forcibly blocked my personal anti-set bias, I still didn't like the look of these modulars in my city. Not at all. They don't match my style or the intended timeframe. 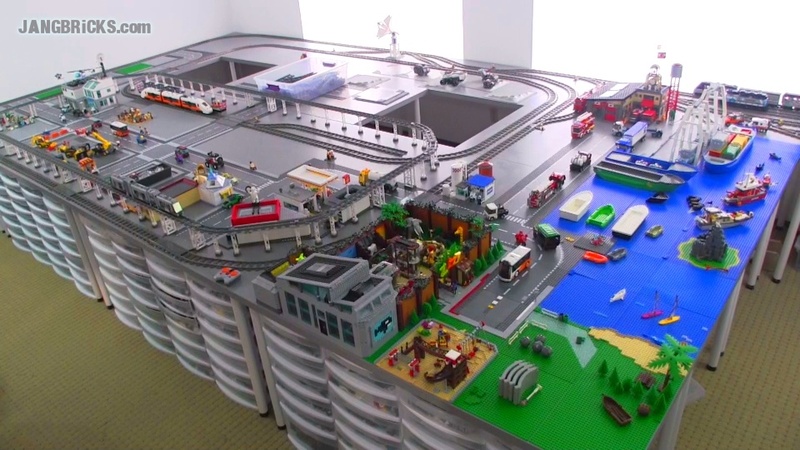 Even worse, so many thousands of little LEGO cities around the world are anchored around official modular building sets that placing these in mine made the whole thing instantly look generic and unimaginative. Back to MOC building I go. 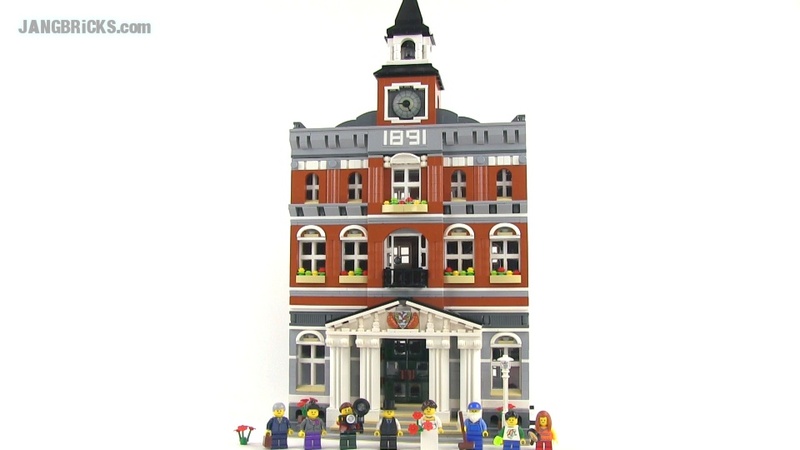 LEGO Town Hall 10224 modular building Review! This will likely be the last LEGO "modular" building I do for quite awhile, but quite by coincidence, I saved the largest for the end! 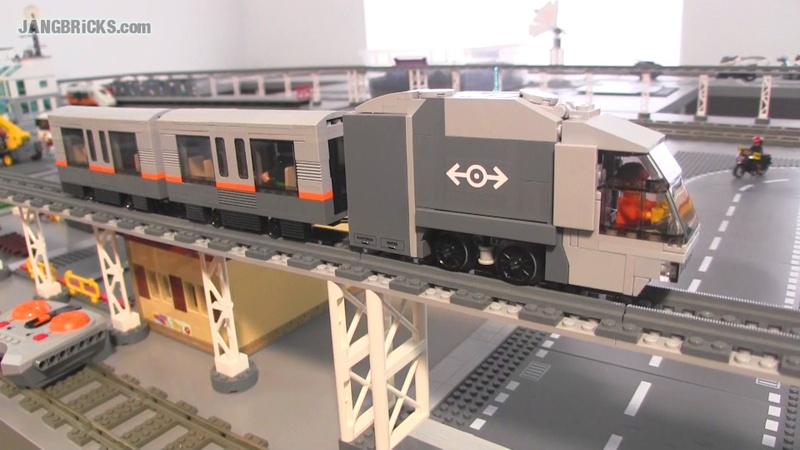 Video: LEGO Town Hall 10224 modular building Review! 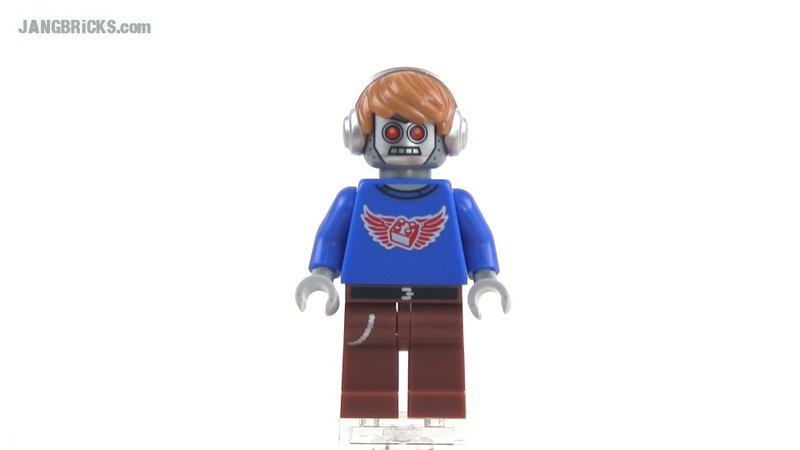 LEGO Movie Pyjamas Emmet & Radio DJ Robot minifigures! 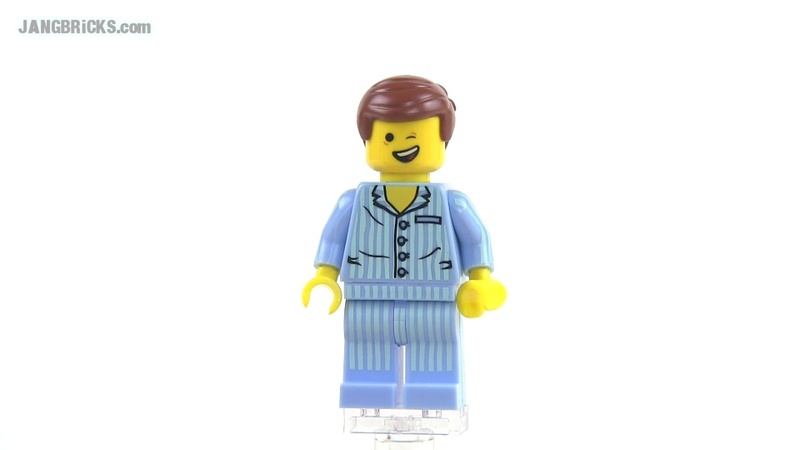 LEGO Movie Pyjamas Emmet promotional minifigure! Today's bonus? 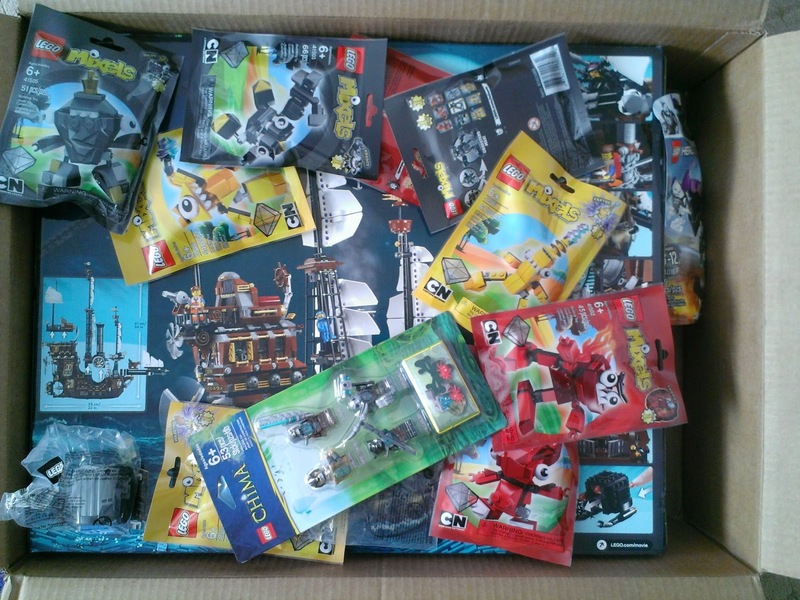 Another Bricklink haul! I hesitate to call the subject of this video a pair of MOCs. It's really just one MOC, plus a quickly-assembled duplicate. Busses at last! I got the itch to build these out of nowhere, and had fun with it. They look good on my city streets. Continuing with the transportation theme, I've also started working on my main passenger train station. Hopefully that one won't take as long as my zoo did since I'm not reviewing 150+ products now like I was earlier in the season! 4 comments - Post a response! LEGO Pet Shop 10218 modular building Review! One more of these modulars down and one more to go before a bit of a break to take them all apart! 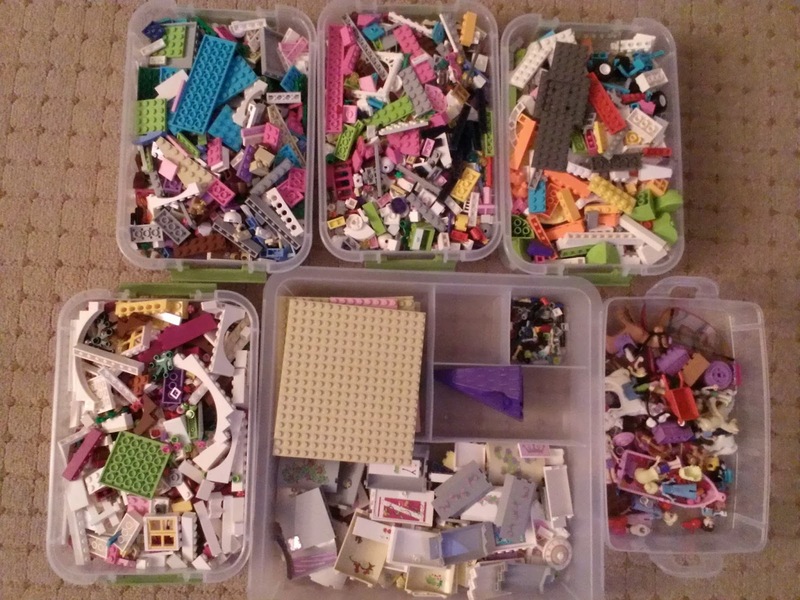 With over 2000 pieces each, it should take some time to get everything sorted away. 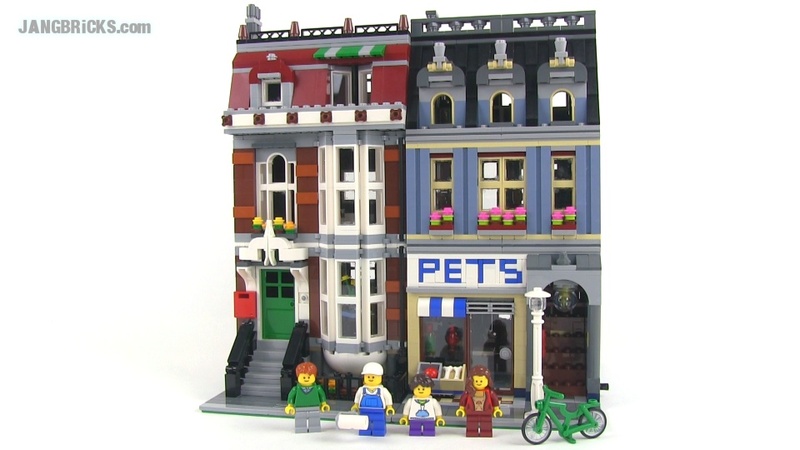 Video: LEGO Pet Shop 10218 modular building Review! 7 comments - Post a response! 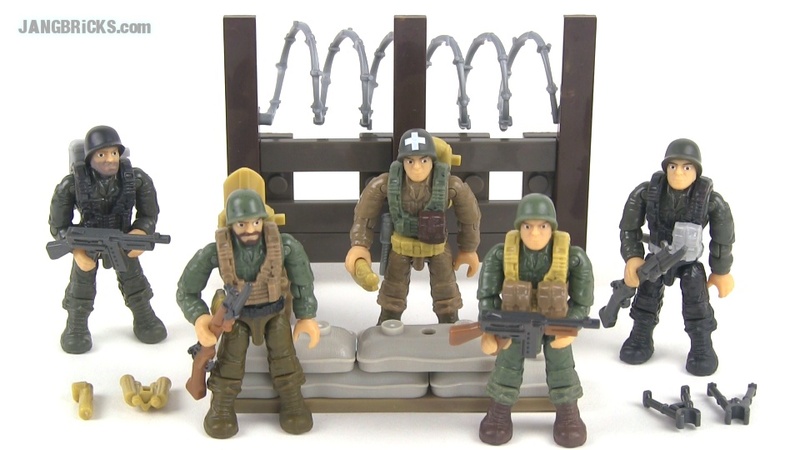 Mega Bloks Call of Duty 6862 WWII Platoon Patrol reviewed! This troop builder set evidently just hit shelves and I was lucky enough to find one at my local Toys R Us. As a bonus, I've also uploaded my last MB Halo minifig mystery pack opening for awhile! Instruction overload! 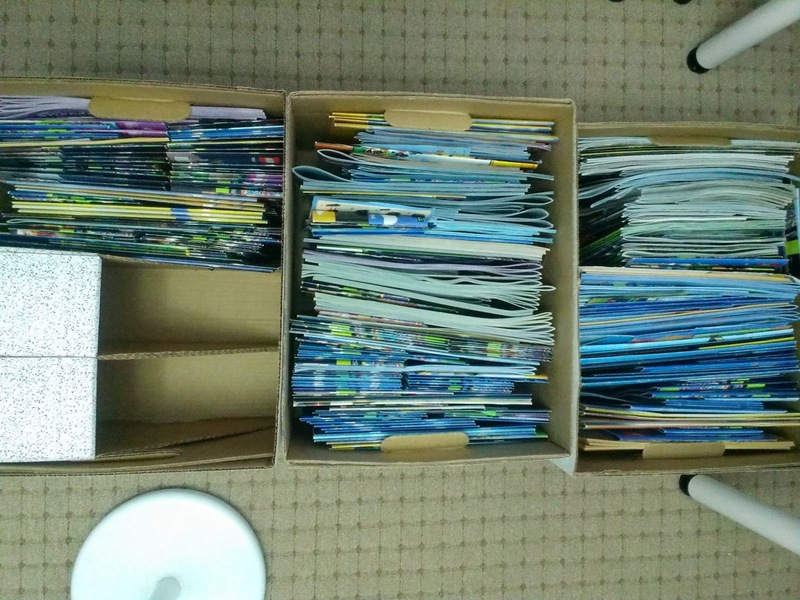 I've been keeping all of my set instructions in cardboard magazine holders, but I filled up two full bookcase shelves with 'em and the last big review series had the holders literally busting at the seams. Since instructions are always available online, I never use these hardcopy ones after the initial build, so I've finally moved them into storage boxes to get them out of the way. I'm not sure exactly why I keep them, but they don't take up much space at all like this, so for now, I'll let 'em live on! LEGO Fire Brigade 10197 modular building Review! Yet another modular set I've had on hand for awhile! Still more of these to come since they're not going out of style! 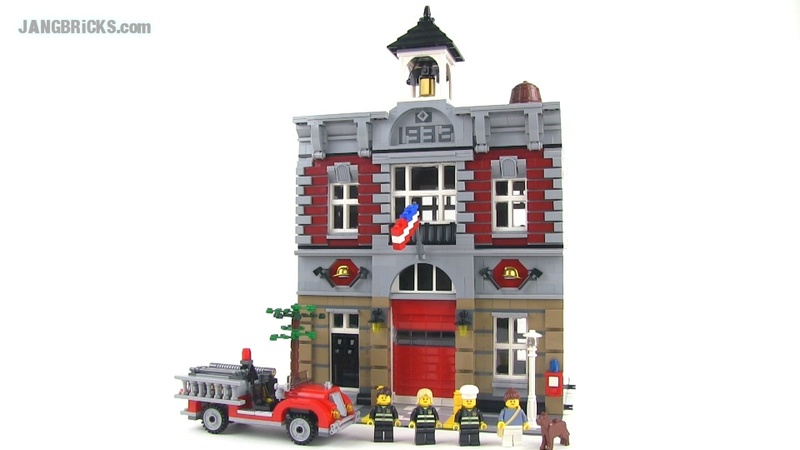 Video: LEGO Fire Brigade 10197 modular building Review! This week ended on a hectic note, so I apologize for being a little slow on the blog posting draw. 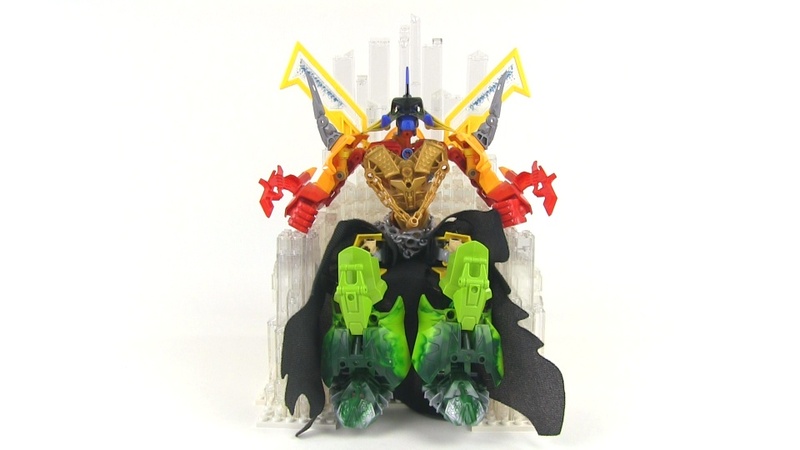 The latest upload batch features two brand new Mega Bloks sets that are just hitting the streets, plus a late Flashback Friday review and a very, very small polybag. Mega Bloks Halo 97263 REAP-X UNSC Quad Walker in-hand Review! Mega Bloks Call of Duty Half Track 6827 Ambush in-hand Review! 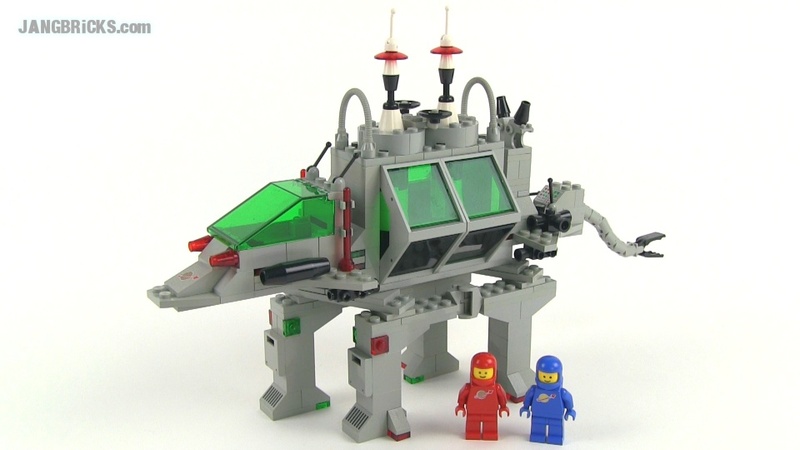 Classic 1995 LEGO System 6639 Raven Racer reviewed! 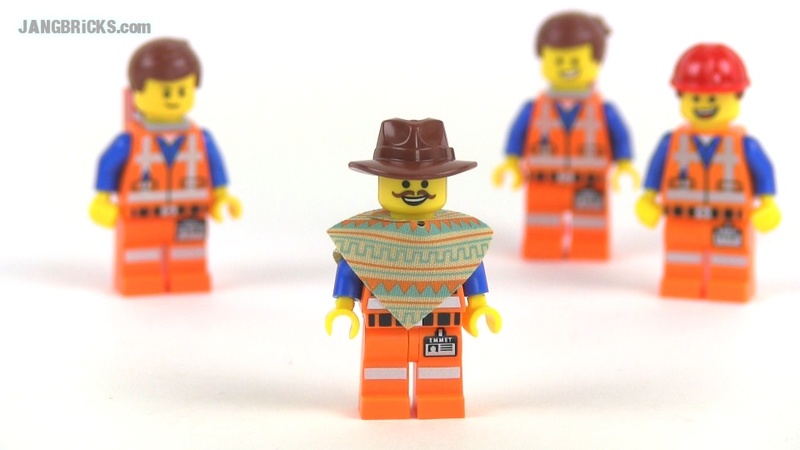 LEGO Movie game exclusive Western Emmet minfigure! More new videos kept me busy this evening, this time with a 50/50 split between LEGO & Mega Bloks Halo content! Enjoy! 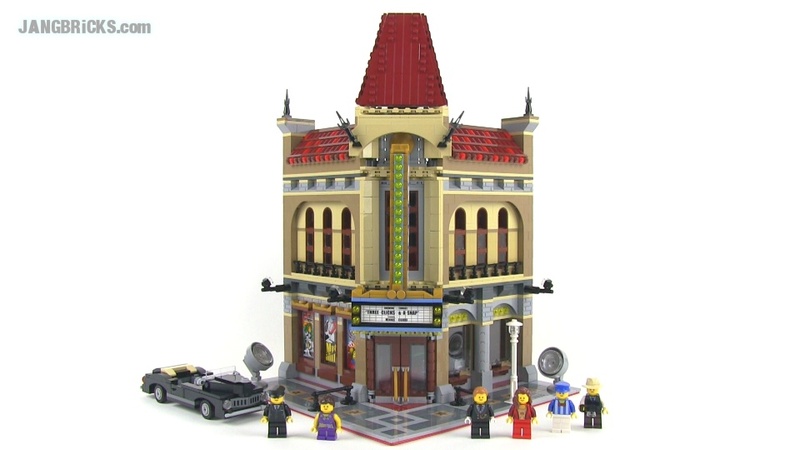 LEGO Creator Palace Cinema 10232 modular building Review! Mega Bloks Halo 97016 UNSC Rhino set Review! 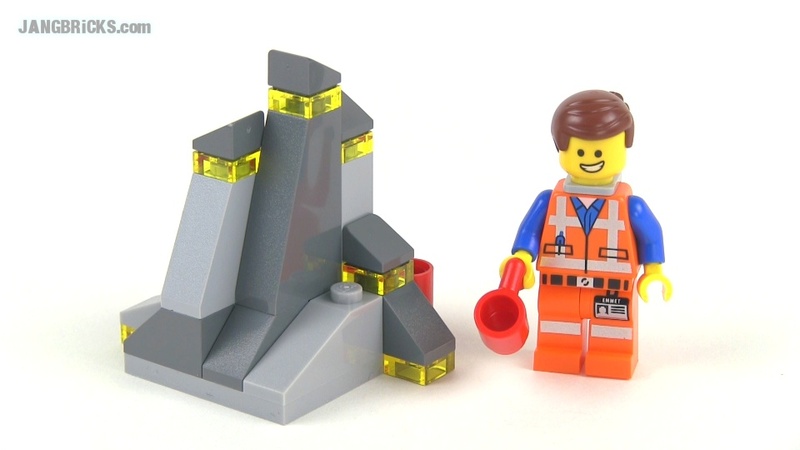 LEGO Movie collectible minifigs - EIGHT bags opened, Feb. 5, 2014! Another glorious selection of parts from destroyed sets! What you see here is the entirety of the 2014 wave 1 LEGO Disney Princesses and Friends lines after being savagely decimated by my wife in one evening! The following day, all of these parts were neatly sorted & filed away! Now that things have quieted down, I've had a chance to reflect back on my earlier drum compactor MOC and decided that I just can't live with its size. Its scale is very reasonable relative to a minifig, but it's just too large compared to other vehicles in my slowly growing MOC collection. Time to tear that one down & make it into a more modern, low-profile, long-wheelbase asphalt roller!